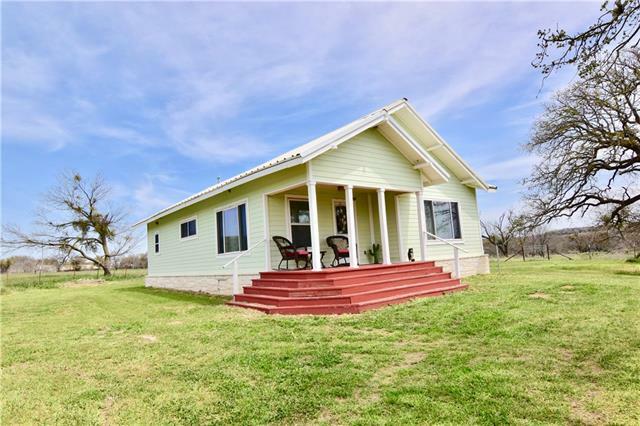 All May homes currently listed for sale in May as of 04/23/2019 are shown below. You can change the search criteria at any time by pressing the 'Change Search' button below. If you have any questions or you would like more information about any May homes for sale or other May real estate, please contact us and one of our knowledgeable May REALTORS® would be pleased to assist you. 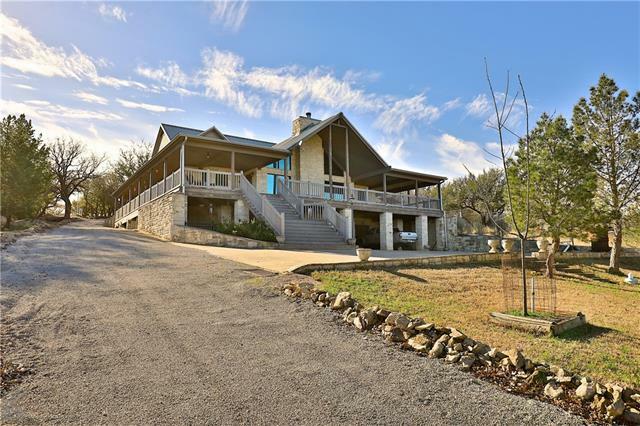 "Fabulous waterfront home on Lake Brownwood. Spectacular views. Custom designed Tuscan style home completely furnished. 6 bedrooms 4 baths, 3 living areas fireplace, gourmet island kitchen,wine room, secluded master suite with walk thru shower and much much more.Partially enclosed outdoor living with remote control electric screens, fireplace, kitchen and half bath will provide endless entertainment for family and friends all year round. Heated in ground infinity pool and spa, sand volleyball cou"
"Waterfront Retreat! This 4 BR, 4.5 bath home PLUS finished basement is perfectly situated to give you a spectacular view of the lake! Wrap around porches & an open living interior make this the ideal place for family & friend gatherings. The finished basement has a safe room-bedroom, living room, full bathroom & an indoor shop (approx 25x25) attached to the garage. Outside is another workshop-garage (approx 24x30), a hot tub, GUEST CABIN with bathroom, a separate screened in kitchen, grills, "
"This is a horse lover s paradise!! 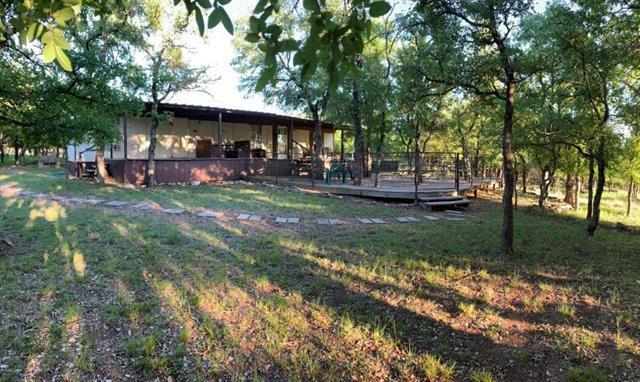 Located just outside of May, this place is set up for farming, roping, riding, hunting, and country life at its best!! This property has many great features, the home is cozy but high-end finishing!! Granit countertops, custom cabinets, crown molding, you name it, this place has it!!. 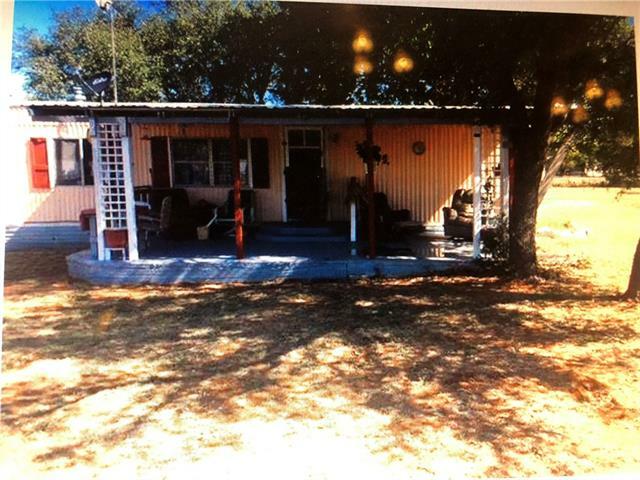 It also has a 2400 sq ft 4-3 double wide on property that can be rented or used for family members. 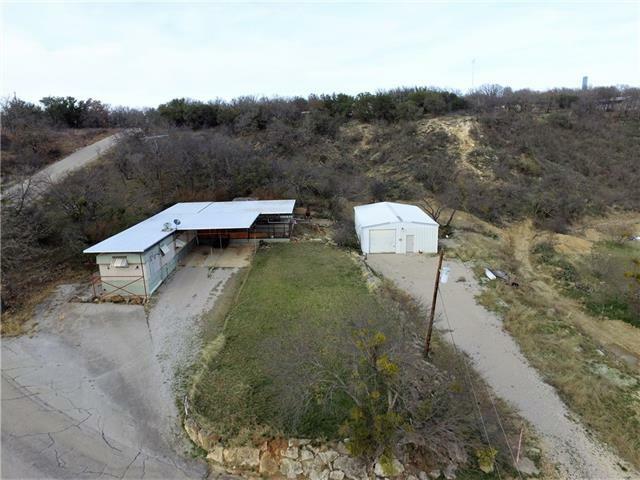 5 water wells, stock tank, roping arena, barn with stables and great fencing "
"Hunter's delight!!! 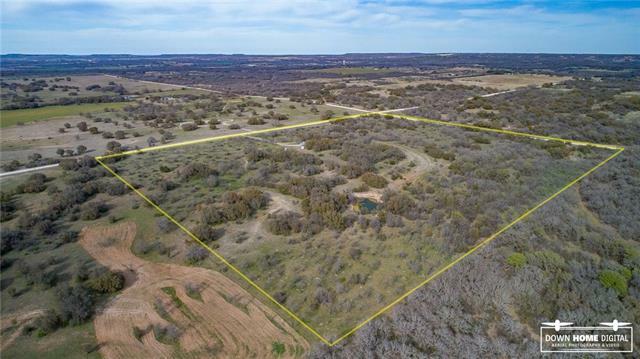 This amazing 52.2 acre property has so much to offer, native pasture, large tank, an abundance of wildlife, rolling terrain with a seasonal creek, excellent smooth wire and barb wire fencing, large oaks, 130 ft. water well that pumps 12-15 gal per min., very secluded for great privacy. 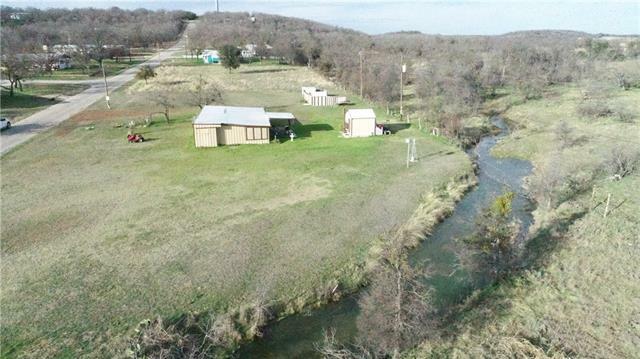 Perfect place for raising livestock, hunting, 4-H animals and recreational. 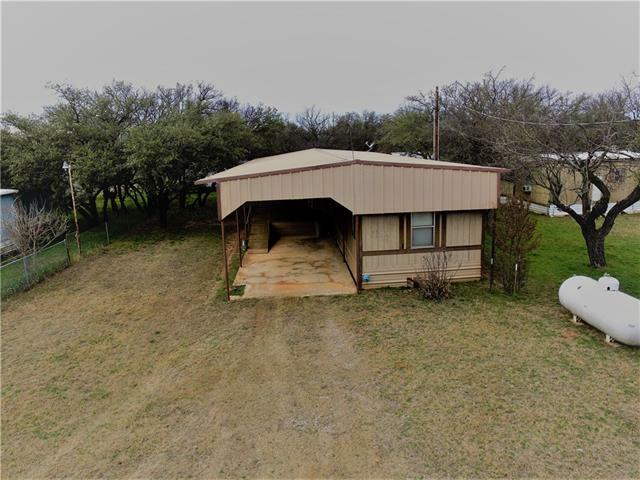 Nestled among the beautiful oaks is a 3 bedroom, 2 bath, 1,400 sqft home with a sizable covered front porch to enjoy "
"Spacious, inviting 3 bedroom, 2 bath waterfront home over looking Lake Brownwood for sale. Has a lovely deck perfect for watching the evening sunset over the lake. It also has a shady porch, nice dock, and a remodeled kitchen, The home is very spacious and roomy, and has that comfortable feel where you can come and relax. The home also offers a small shop and carport along with a single car garage. There is a nice boat dock with a single boat slip and storage at the dock. The Dock has been upda"
"Beautiful Clayton Home on 4 lots in Lake Brownwood Lake Community. Enjoy beautiful sunsets at the associations dock and have fun at the community pool and park. This home has lots of trees and a nice covered deck on the back. Two storage buildings and a large 2 car carport. Sequestered master features a large garden tub, large shower and dual sinks. Open kitchens lets you entertain and see the living room fireplace. Great to call home or a weekend getaway." 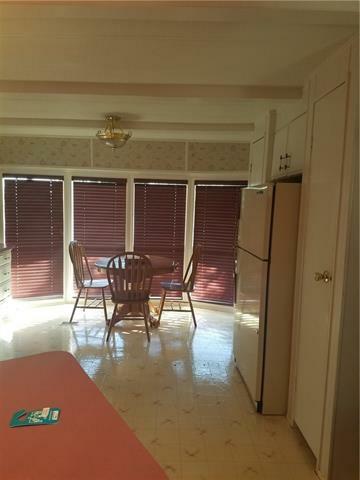 "This property is in a well kept neighborhood of mobile homes and custom built homes. 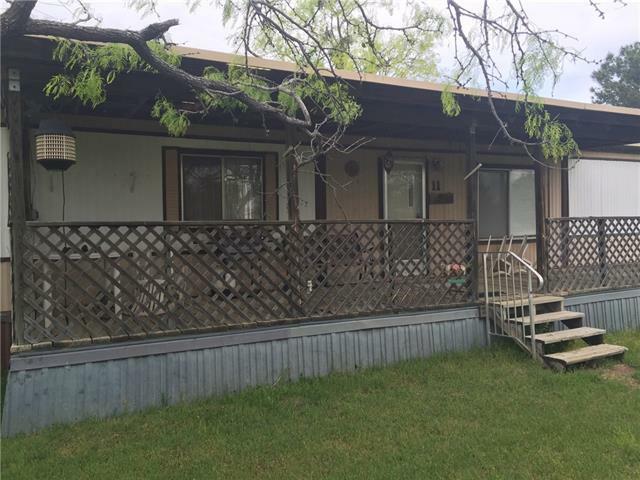 It has 2 clean mobile homes on 4 lots with lots of trees and rugged walking areas. 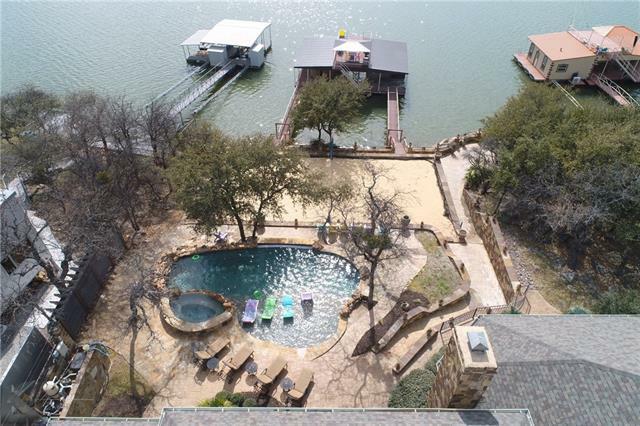 Plenty of room for children to play and for outdoor entertaining, The lake is easily accessed by just a few steps with interesting walkways of natural rock. There is a small creek bed ready for exploring. Included are several storage areas and covered parking. 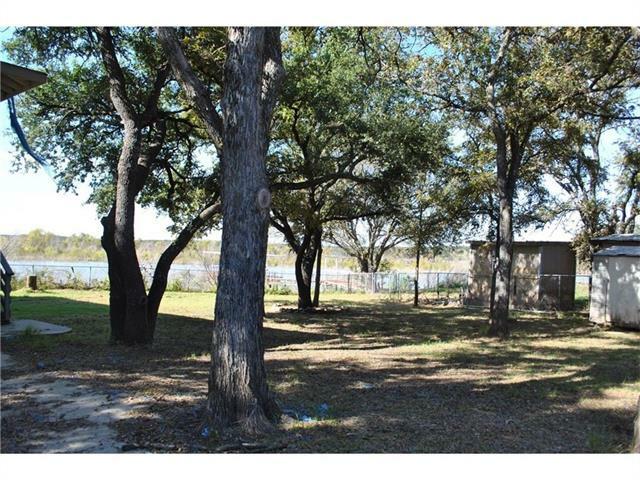 The neighborhood dock and boat ramp are close and the Community park a"
"Come take a look at this 3 Bed 2 Bath lake front property. Current owners have done a lot of improvements to get this to be a perfect lake getaway or a cozy home on the lake. Take a dive in the lake or relax in the hot tub and enjoy all the Harbor Point amenities. The covered patio and the add on make this a perfect spot to enjoy the lake and entertain friends and family." "Your Lake Escape Awaits! This 2 bedroom 1 bath lake front home is perfect for the water lovers in your family. Fishing, swimming, boating or just soaking up some sunshine this can be your place to get away from it all. Beautiful oak trees shade the house and yard and you have your own fishing dock with boat slip. It's waiting for you, give us a call today!" "This is a very neat home in Thunderbird Bay with five lots. The property overlooks a valley with a small creek on the back side. The finished storage would make a good workroom and has an attached carport for a boat. A large 24 x 24 double car garage and another attached double carport allow plenty of storage of carts, boats and cars. Swim in the community pool and launch at the association boat ramp. The home is well maintained and ready for its new owner to move in and enjoy. 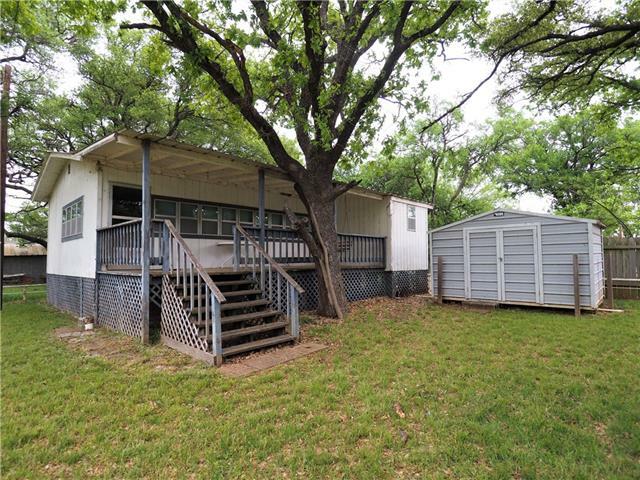 The roof is"
"Located on 2 Lake Lots with lots of trees at Lake Brownwood. 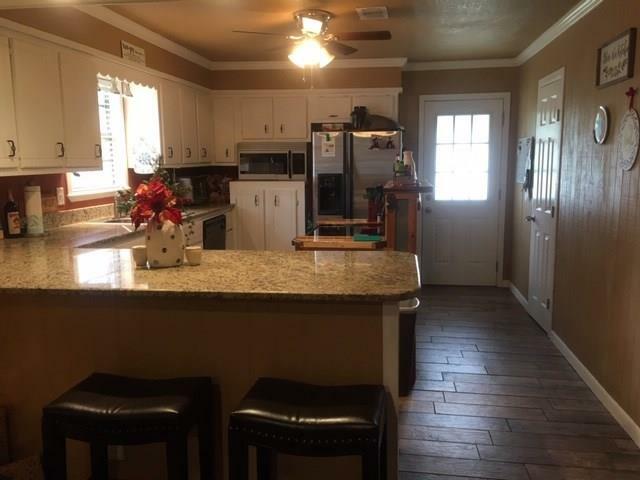 Beautifully remodeled lake home, 2 bed, 1 bath, ceramic tiled wood grained floor, crown molding, granite countertops, new electrical outlets, plumbing updated, new kitchen appliances convey at ask price. Screened in front porch. Ducts are in place for Central AH. Roof was replaced 2013. Spray foam insulation. Utilities average $120 per month. Couple blocks to public swimming pool, play ground, boat dock, boat ramp and fishing pier. 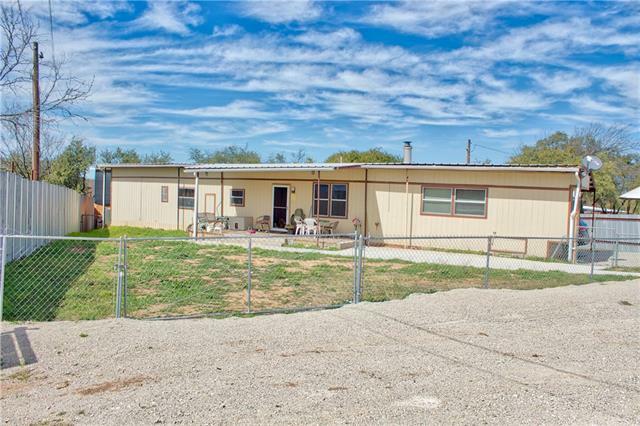 P"
"This property has a 2 bedroom 2 bath manufactured home that has been protect with a metal root that also provide a shaded area for a patio and two car carport. the home also has a tornado bunker built of rock back into the mountain, It is conveniently locate next to the community swimming pool and picnic area. Come make this property yours. Call Ray Conner at 325-574-0639." "This charming, well kept 1 room lake house has been enjoyed by 4 generations of 1 family for over 40 years. The family has loved vacationing together in the 1 room cabin with a large covered porch and peaceful lake view. It's very quite on the small peninsula with towering shade trees on the corner lot. Outside storage building great for the lawn equipment and lake toys. The community pool and common areas provide lots of seasonal fun! Cable and internet are available. All furniture and applianc"
"Here is a gem! 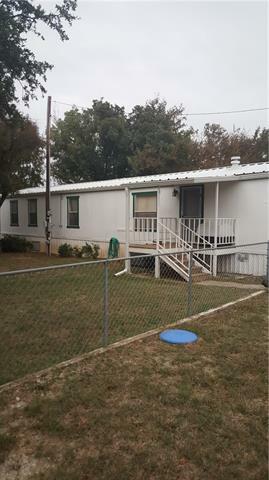 Move in ready 2 BR 1 bath single wide Mobile home completely furnished. Everything conveys. It has a garage complete with tools.New AC unit. Covered porch beautiful trees .SELLER IS MOTIVATED WANTS TO LOOK AT OFFERS"
"Looking for an affordable lake home? This home is on three lots on the top of a hill cascading down through dozens of beautiful trees. There is an open air deck allowing you to enjoy the beauty of lake living. It also has a large covered porch perfect for outdoor barbecues. This quaint lake neighborhood has a community boat ramp, dock, pool and park. Plenty of room to park your boat. Also has two storage area's." "Enjoy wonderful quiet country evenings from your big covered front porch as your watch the deer graze away. This home has been well maintained through the years being used only as a vacation home for the family. Regular up keep has kept the home in terrific shape. Behind the home sets a newer 12x18 Morgan building. It currently contains a hot tub and is wired for electric. 3 out buildings and carport also convey. Most furniture stays as well." "This would make a great vacation home as it's completes covered in metal for low maintenance and sitting on 5 beautiful clean lots. All the furniture and appliances convey with the home. This home is vacation ready. There is an abundant of parking for boats and RV's." 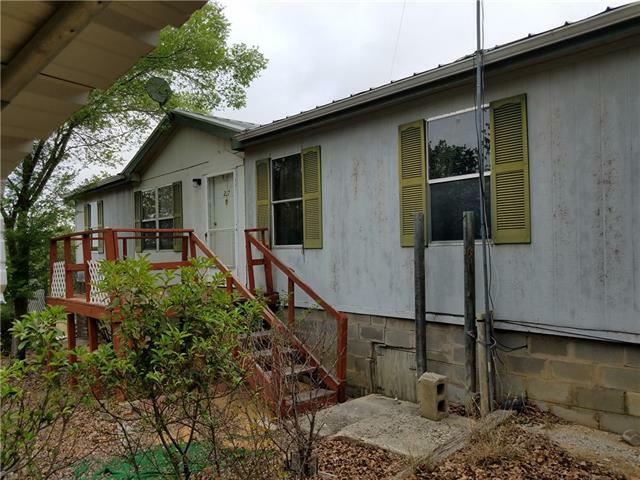 "This doublewide sits on three lots in Tamarack Mountain. Home has great potential. Would make a great summer lake home or a starter home for the family that wants to live on the lake!"